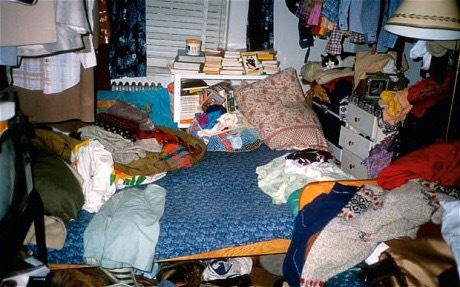 How much of a problem is hoardingThere has been quite a lot in the press and on TV recently about hoarding and you might be forgiven for thinking it’s a new problem, recently discovered by the great British journalist. Far from it people have always hoarded, its the perception and perhaps number that’s changed, plus the visibility of the problem. 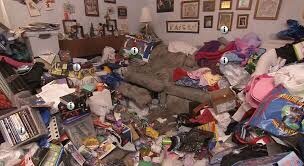 Previously hoarders were called eccentrics, mainly if they were well to do, and having the money to hoard kind of implies this, or if you were less well to do you would be called less polite names and would struggle with your problem often being seen as one of hygiene as much as hoarding. In recent years our understanding of the issues around hoarding and compulsive acquiring has increased and much research has been done to establish that hoarding is a problem in its own right and not simply an aspect or category of Obsessive Compulsive Disorder. The key to this being a disorder; a mental health problem, rather than just being a bit messy or disorganised is the extent to which it impedes normal function, family life and the level of unhappiness it causes. I have never met a happy hoarder. A hoarder might think ‘if I had the space to keep all my stuff tidy’ or ‘if only people would leave me alone with my stuff’ or ‘I’m not a hoarder I am a collector’ and think they could be happy and hoard happily if the conditions (more space, more understanding family, access to more stuff) were right, however that is a delusion. Thinking you can be happy and a hoarder is a sign that it’s a disorder for two reasons; 1 because it’s the hoarding that makes you unhappy, 2 it’s an example of a distorted/disordered though pattern, you can’t be safe and well an happy in the middle of a hoard (think Howard Hughes, mega rich and living in the middle of his hoard of bodily waste=miserably). In reality hoarding makes you unsafe, unwell and unhappy. 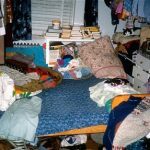 I’ve worked with a number of hoarders and identified a number of though patterns and processes that contribute to the problem. I will share some of these thoughts with you, obviously without breaching any confidences; I will give you an insight into the way hoarding affect people’s lives and why. So to answer how much of a problem is hoarding, watch this space! Or if you already know then give me a call and let me help you deal with it and find the life buried under your hoard.